Often, when our customers first arrive for their jet boat tour or white water rafting trip, at least one person will pipe up about what category of rapids we’ll be taking them through. The fixation, of course, is on class 5 rapids, as fearsome as they sound. But many people don’t understand what the rapid classification system actually tells them. Here at Killgore Adventures, we spend a lot of time on the river, so we know what to expect when we float customers through Hells Canyon. In today’s post, we’ll discuss the rapids class system and how they relate to the difficulty and danger of any given section of the river. This scale is used in the United States as a way to gauge the difficulty of traveling through a stretch of river or a rapid. Created by the American Whitewater Association, the scale is now used throughout the world. The scale is based on the technical skill level needed to navigate the rapid, as well as the difficulty the rapid presents. The scale is applied to any number of water travel or water sports, including rafting, kayaking, canoeing, and yes, even jet boats. However, the classification system is imprecise, and cannot be called an exact science. Different river travelers will assess the same rapid in different ways, based on their own level of expertise and their difficulty in navigating the rapid. This means that the scale is more a set of guidelines than actual rules. With that in mind, the International Scale of River Difficulty uses six different classes to describe the quality and difficulty of a stretch of river or rapid. This class is the easiest of rapids to navigate. The water will be moving quickly, with minor waves and riffles. There won’t be much in the way of obstacles to avoid, and if a boater were to go overboard, they could easily swim to safety in these conditions. Here, you’ll find obvious rapids, with taller waves, up to three feet in height. Boats may need to be maneuvered through some sections to avoid rocks or larger waves. Swimmers can still swim to safety here fairly easily. Here, the speed of the water and the rapids begin to accelerate. Larger, irregular waves may be present and can wash up an into a boat. Boaters should be skilled in navigating obstacles, rocks, and wave trains. In larger rivers, eddies and side currents can impact the progress of the boat. Swimmers may need assistance from the group to avoid swimming for long distances but rescue is still possible on their own. These rapids are longer and more difficult than those in lower classes. The river may have large, unavoidable waves, holes, rocks, and other hazards. Boaters should be skilled, and able to make advanced maneuvers. Boaters may need to scout the rapids before attempting it for the first time. There is moderate to high risk of harm to those who have to swim through the rapid, and they may struggle to self-rescue. Rapids in this class should only be navigated by expert level boaters. The rapid may be made up of unavoidable wave trains, major hazards and obstacles, holes, and tall, aggressive waves. The routes through these rapids must be followed precisely and with skill. Eddies in the rapid are small, turbulent, and often difficult to reach. Swimmers will struggle to make it through the rapid, and even group rescue may be a challenge. Boaters will need advanced training, specialized equipment, and swift-water rescue skills to successfully manage these rapids. Considered to be the most difficult, class six rapids are often avoided, or infrequently attempted. Any mistake in these rapids could be deadly, as a rescue is often impossible. To successfully run these rapids, teams of skilled experts have to attempt them during specific moments in the year when water levels are favorable. 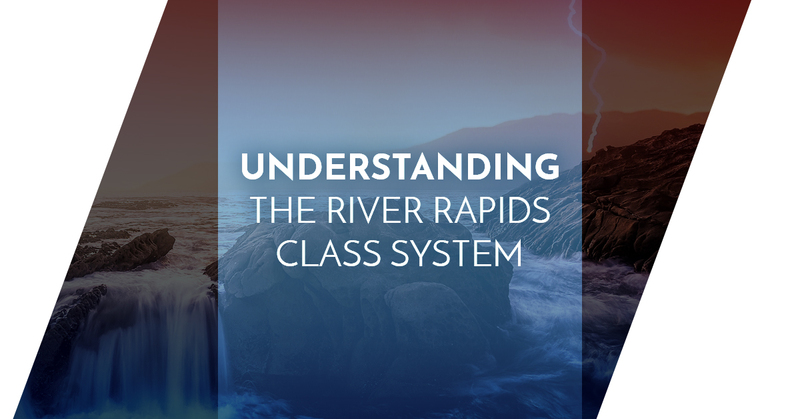 One of the reasons that the class system is considered to be a set of guidelines is because the quality of the river or a rapid is highly variable. What may be a class two rapid at some points of the year can be a class three at other points. Water levels rise and fall throughout the year, in response to the season, and can even change throughout the course of a single day. Similarly, the class of a rapid is largely dependent on the height of the water. High water makes rapids more dangerous, with lower water levels making them easier. Killgore Adventures offers both whitewater and jet boat tours of some of the biggest rapids in Hells Canyon. Sign up today to start your next expedition!